Cam Guarino didn't allow a single run as the Falmouth Yachtsmen defeated Gray-New Gloucester 3-0 on Wednesday. Guarino allowed just three hits and induced a groundout from Jv Vilanueva to end the game. The pitching was strong on both sides. Cam Guarino struck out 14, while Gray-New Gloucester pitchers sat down two. Falmouth took an early lead in the first inning. Max Fortier hit into a fielder's choice, scoring one run. Gray-New Gloucester's Jv Vilanueva singled in the first inning. Guarino earned the win for the Yachtsmen. He threw seven innings, surrendering zero runs, three hits, striking out 14, and walking one. #4 took the loss for Gray-New Gloucester. He went four innings, giving up three runs, three hits, and striking out one. 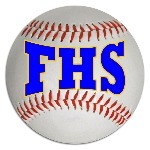 Griffin Aube, Fortier, and Garrett Aube each drove in one run to lead Falmouth Yachtsmen Varsity. Vilanueva led Gray-New Gloucester with two hits in four at bats.